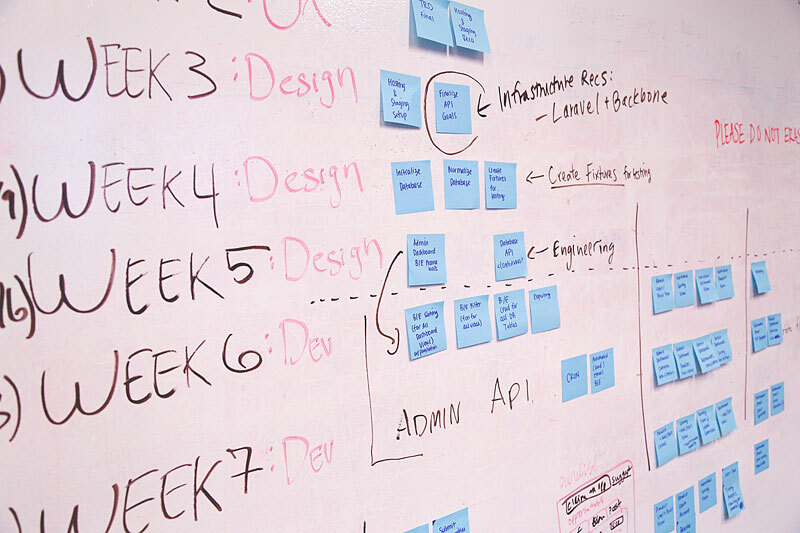 When it comes to the development of apps for the iOS platform whether you are part of a development team or responsible for end-user experience, these seven tips will help improve your iOS enterprise app development planning. These are practical tips that we’ve learned through developing highly specialised apps over the last five years. You can also read case study about a recent digital transformation app in the engineering sector here. Simply put, be clear about which problem you want your app to solve. It’s highly likely that access to real-time data is at the heart of what you want your app to do. Increased mobility, streamlined processes and faster cycle times are three of the key benefits delivered by enterprise apps. So, make sure your infrastructure has the ability to support many concurrent users without it crashing. Spend as long planning back end systems as you do on the front end. Ensure your app can cope with the amount of data that needs to be sent to it, even on reduced signal, and that the app infrastructure can also support all devices connected to it. Good enterprise app development planning process should ensure you keep a tight focus on benefit delivery. While you might be itching to revolutionise your enterprise by building a behemoth app that will make all of your data and processes mobile, resist. The bigger the app the more likely it is to fail. When planning, think agile. Prioritise functionality and only build the best bits first, simply ignore all other functionality until you’ve released, tested and made a success of the first version. Smaller apps are easier and faster to develop, have higher adoption rates and risk less budget up front too. Building an app is one thing, making sure everyone can use it is quite another. You need to know how you’re going to get the app onto each device, how you’re going to manage app version control, OS version control. 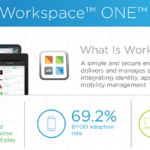 There are plenty of MDM (mobile device management) tools out there, so it’s not hard to do. But, you’d be surprised how many companies don’t think about deployment until the app is ready. MDM makes sense in any case as it enables you to standardise security settings and control your fleet in a professional and efficient manner. If you’re working with data, what happens when you haven’t got a signal? Large parts of the UK still struggle to get 4G coverage, some struggle for 3G and some have little to no coverage at all. Planning signal loss into your app reduces the risk of user rejection and increases the effectiveness of the app. Simply, it’s critical. If possible use device data caching and carefully plan where the data processing happens. It’s tempting to make the app’s heavy lifting be done server-side, but is that always possible? Can the App Act as a Data Bridge? Most enterprises end up with data silos. They are a fact of life because businesses develop organically, acquire new businesses, merge departments etc. We’ve worked on many apps where the only place disparate systems get integrated is the app itself. Combining data from silos didn’t make sense until mobility was possible, then it became a priority. As you start your project planning, look for opportunities to boost benefit delivery by integrating disparate data systems. If you’re adopting an agile development methodology, you’ll need to plan feedback loops into your development process. How are you going to capture user feedback? How are you going to prioritise it and act on it? If you want to maximise your return on investment, give your users what they need most, let them guide your development. If you need to find out more about agile development, we can gladly introduce you to expert trainers. No-one wants to lose their device, but someone will. When that happens is your data secure? iPhones from iPhone 6 onwards have biometric capability, build it into your app. It’s tempting to take the easy route and either use a password or no security at all, but users write passwords down and unless you’re using and MDM you can’t enforce strong passcodes to access the device. The key to app development success is in the planning process. Anyone that can cut code can write an app, few can build and deploy one. Bespoke enterprise app development can be a big, expensive project and headache for development teams. Amsys Digital brings massive experience in cost-effectively planning, designing and developing tools that transform business processes and increase productivity. For a no-strings attached half a day’s consultancy to discuss your app development projects, please visit our contact us page and get in touch today. We are experts in enterprise app development planning, coding deployment and support. You can read a case study about a recent project in the rail engineering sector here. 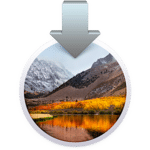 Next Post Is it possible to prevent conversion to APFS when upgrading to High Sierra?